You may never have heard of Porseg before, but you're about to. 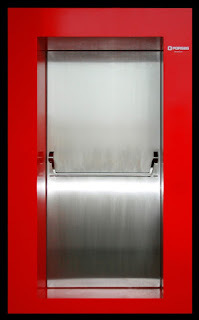 Porseg is a Portuguese company specialized in safety and security doors, that has now won a Red Dot Design award with its "Plano" fire-door. This door was developer in just six months by its R&D department, and the result is stunning (if its appropriate to say that about a door). 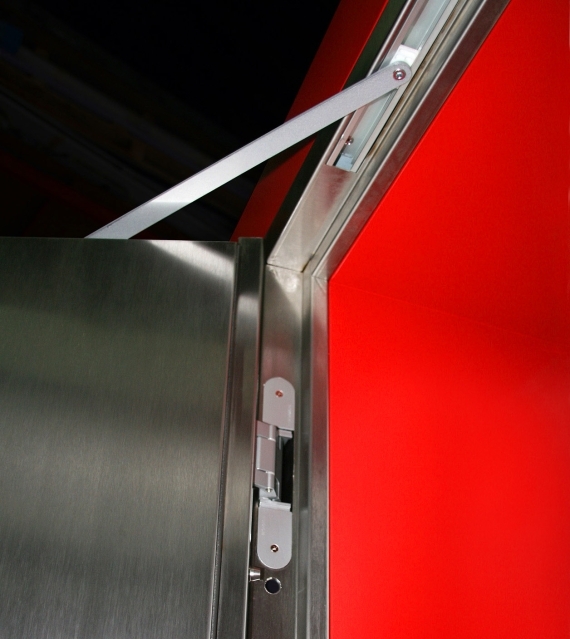 The Plano door keeps all locking and moving mechanisms hidden from sight, leaving just the door itself and the handle bar visible. This door was developed by request of the Portuguese architect Carrilho da Graça for use in one of the largest data centers in the country (for the Portuguese telecom group" PT). Besides it's fire-proof capabilities this door also has excellent acoustic and water tightness features that make it suitable for a wide range of applications.